The fiber will connect submarine cable landing stations and major peering points within the USA. This deal will strengthen Telefonica’s International infrastructure in the Americas. NEW YORK, MADRID, MIAMI AND JACKSONVILLE, – January 27, 2015 – Telefonica Global Solutions, a leading provider of integrated communication solutions, together with Allied Fiber, the United States’ first open access, integrated, network-neutral colocation and dark fiber superstructure, have signed a 20-year agreement for dark fiber in the United States, as well as neutral colocation and interconnection services which will strengthen Telefonica’s International infrastructures in America. The following agreement provides Telefonica with dedicated access and use of its own physical network infrastructure within the Allied Fiber system enabling greater control of service provisioning, network scalability and costs. The Allied Fiber Southeast segment covers more than 360 miles throughout the State of Florida and was built specifically to serve network operators of all types including, national, regional and metro carriers, as well as submarine cable networks. Telefonica is present in America throughout its state of the art submarine cable Sam-1 connecting USA and Latin America and its brand new PCCS cable system that covers 3,700 miles and allows Telefonica to diversify the access points to the USA, increase the connectivity with Colombia, Ecuador and Central America and offer a better service to its MNC´s and Wholesale customers in terms of capacity, security and network diversity. “With this infrastructure, Telefonica will increase reliability and diversity through its global network. This will result in improved quality of experience for final customers” states Serafin Borrego, IT, Network and Platforms Director within Telefonica Global Solutions. “Telefonica is a marquee customer for Allied Fiber” comments Hunter Newby, CEO of Allied Fiber. “We are very pleased to have this relationship with such an established global service provider and we look forward to working with them in the future,” added Hunter. 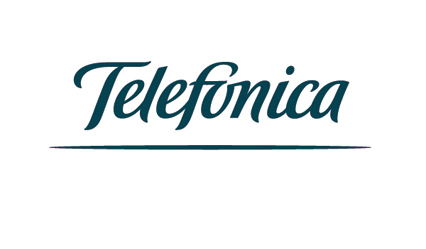 Telefonica Global Solutions manages globally the multinational, wholesale and roaming business within the Telefonica Group. Global Solutions delivers integrated fixed, mobile and IT services to some of the world’s top multinationals and corporations. It also provides global telecommunication services for fixed and mobile carriers, ISPs and content providers. Telefonica Global Solutions develops an integrated and competitive portfolio for carriers and corporations that include international voice, IP, bandwidth capacity, satellite services, mobility and global solutions, with service reach in more than 170 countries, working in partnership with 24 leading telcos operating in 45 countries. Global Solutions is a multicultural organization, with more than 1,400 employees, working in over 40 countries and speaking more than 15 languages. Allied Fiber was created as the first national, open access, integrated, network-neutral colocation and dark fiber superstructure in the United States. Allied Fiber offers a combined long-haul and multi-access point, short-haul fiber optic system coupled with its own colocation facilities to provide control of the underlying physical assets to all network operators. Established in 2008, the Allied Fiber system is designed to link the international subsea cable landing points in the United States while also providing intermediate access along the route for the inclusion of local networks in to the global network architecture. By managing communications infrastructure as a real estate business for network operators the company has developed a unique platform that enables its customers’ growth and profitability, which drives its own.